Here is that article again, this time from Scientific American. Magic Revealed: Cups Trick Found to Be More Effective Than Thought: Scientific American. Ancient Magical Illusion Even More Effective Than Magicians May Realize | Inside Science. I am quoted herein. Let’s hear it for 1) magic and 2) a new open-access journal making the scene. Indeed we are totally screwed once they realize that it was us who invented lightbulbs and bug zappers. Sci² Tool : A Tool for Science of Science Research and Practice. 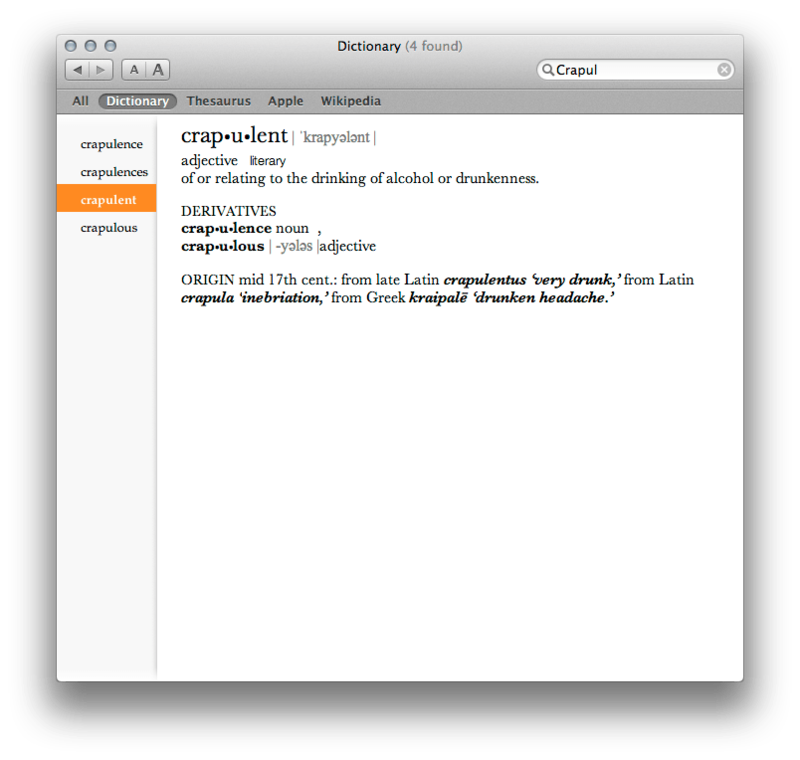 From the apple dictionary, crapulent. I never knew it was a real word. A very interesting piece of research on being interrupted whilst writing code. … the office is where we go to get interrupted.